The Humana People to People Federation has already made available the 2016 Report, a document that brings together the information, facts and data most representative of the Federation's work over the past year. Humana Fundación Pueblo para Pueblo is one of the 31 organizations that make up the Federation, in which we develop our projects of cooperation, alienated with the Sustainable Development Objectives and Agenda 2030. 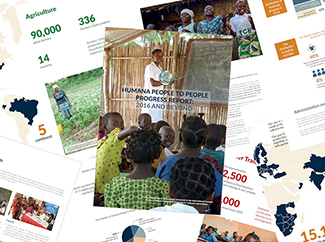 The 2016 Progress Report (Humana People to People Progress Report: 2016 and Beyond, in its original title) includes a vision of the projects that we carry out the members of the Federation, a summary of the main achievements, a description of the projects Particularly successful and plans for 2017, among other contents. "Our goal is to provide effective and lasting solutions to the needs of people at risk, as we adapt to a changing landscape of political and international development," they say from the Federation. Approximately 12,500 elementary school teachers were trained in training schools. 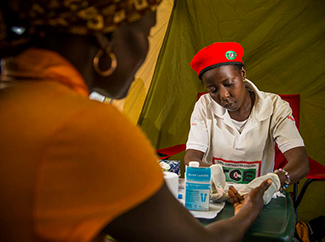 Humana People to People continues to play a key role in the global fight against HIV through the Total Control of the Epidemic (TCE) program, through which 728,750 people were tested at home. The program reached more than 6.5 million people with awareness campaigns, counseling and links to local health care. Two new child assistance programs were initiated in Zambia: the first targeted at 125,000 orphans, vulnerable children and their families, while the second relies on 90 health centers to provide knowledge and access to family planning services to 60,000 Households. Humana People to People is implementing the tuberculosis prevention program in the mining communities of Mozambique under the leadership of our local partner ADPP Mozambique. Humana People to People India has expanded its Step-Up program to ensure quality education for schoolchildren. Last year, 8,300 children were enrolled in this type of school and the program is expected to reach 30,000 children over the next three years. 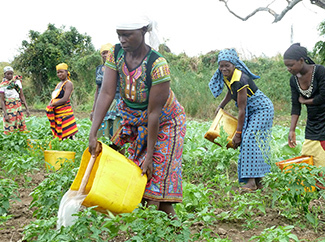 The Humana People to People Federation, with headquarters in Zimbabwe, provides its members with monitoring and technical support services, including program design and development, capacity building, information and knowledge sharing, and resource mobilization. The 31 organizations (25 countries in Europe, 12 in Africa, three in Latin America, four in Asia and one in North America) jointly implement 1,153 development actions in 45 countries, involving 15.5 million people. Here you can read the Progress Report 2016.